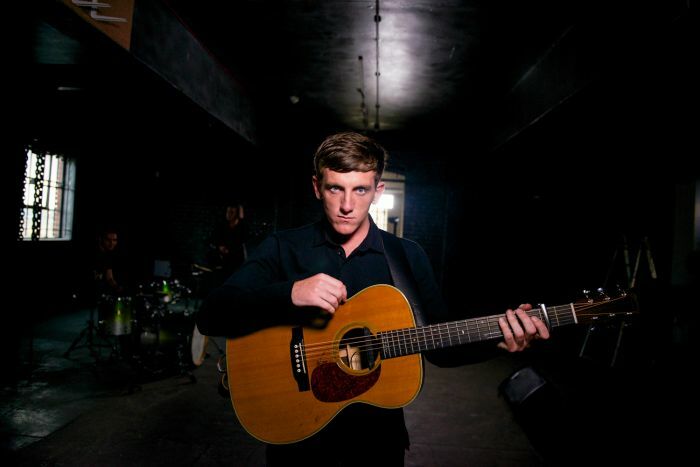 Liverpool raconteur Louis Berry reveals the title track from his new EP, Rebel, ahead of debut headline tour dates. Getintothis’ Tom Konstantynowicz has the lowdown. GIT Award One To Watch Louis Berry unveils the title track from his Rebel EP and it’s a bona fide belter, full of raw energy. Following on from 45 and 25 Reasons, Liverpudlian Berry will be officially releasing Rebel on September 11 ahead of a headline show at East Village Arts Club on September 26. Since picking up his GIT honour, Berry has collected support from the likes of Annie Mac and Phil Taggart at Radio 1 as well as a playlist nod from XFM. He also has a jam packed summer lined up with slots at Kendal Calling, LIMF and Y Not Festival. Rebel is a track that channels the likes of Alex Turner and Miles Kane at their grittiest alongside a stomping, bluesy rhythm reminiscent of The Black Keys. Berry’s gravelly vocal excels in generating angst with lines like “I’m a very lonely rebel with a very revolutionary mind” resonating with many a rock and roll storyteller. He appears meticulous in his strategy, carefully releasing music only when he feels it is ready, ensuring each of his three releases to date have been full of impact. In an exclusive chat with Getintothis earlier this year he mused: “If I was going to paint a picture I’d spend my time and get it right. I wouldn’t just throw everything at the wall and hope something sticks.” A knowing philosophy indeed. Berry sets off on his debut headline tour riding a mini wave of hype, taking in London, Nottingham, Bristol and Manchester as well as that homecoming date up in the East Village Arts Club loft. Grab your tickets while you still can!